@xox interactive: Recently we had to design technical nonsense into our Unity project – again. Why? Because, if we would not place that useless, deactivated UI element into our scene, our UI would break down – no way around. And hey, please nobody removes that! Don’t misunderstand me, we love to work with Unity. However sometimes you need to do irrational stuff, which you start to accept, because there is no way around it. Of course you document it , probably with your own simple solutions. But soon you realize that you need something better. Searching in the Asset Store we could only find variations of sticky notes implementation, which didn’t hit the spot. So we created xDoc – a professional documentation solution, which we would like to share with you. While designing xDoc we adhered always to two fundamental requirements: efficiency and effectivity. 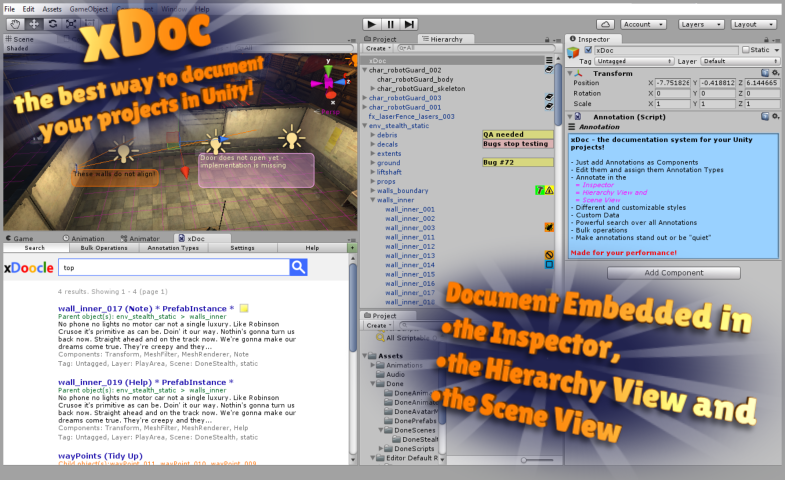 The solution was to embed xDoc into the Unity editor. This way the user can stay in his workflows and use the tools he already knows. Creating documentation with xDoc is a piece of cake; and so is finding and accessing it. With xDoc the user can quickly access information and objects he is interested in. 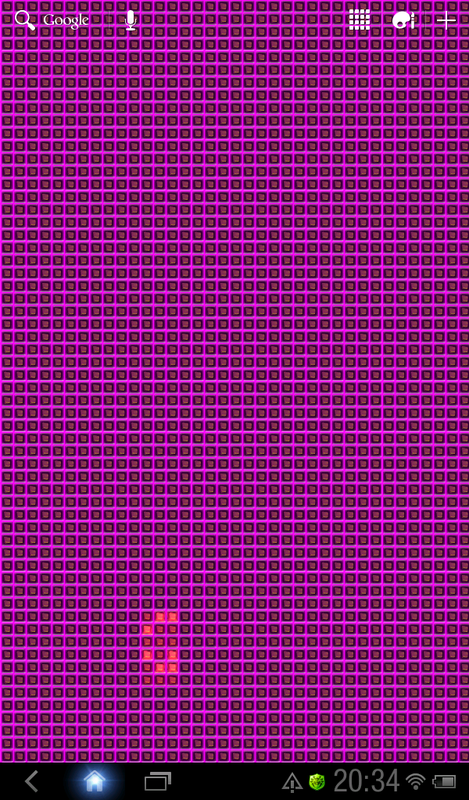 There is no more fiddling around and clicking true all of the hierarchy. And of course style of presentation is important, because of taste and needs. In xDoc you can adapt all of it to your liking: Unobtrusive and inconspicuous or standing out and prominent. With xDoc you can build a workplace, which suits your style of working and makes you more productive. On the technical side xDoc can easily and efficiently handle thousands of annotations. Meta data is customizable to your needs. And the powerful web-like search engine supports keywords and search operators like: isStatic, hasChildren, component: rigidbody, etc. And there are a lot more features you don’t want to miss anymore. xDoc is available in the Unity Asset Store (http://u3d.as/qX8). Please tell us your thoughts in the comments section and share on facebook, twitter, google or the social media of your choice.